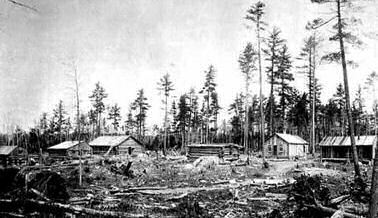 After the news become public in 1865 that a Minnesota state geologist had found gold and silver-bearing quartz near Lake Vermillion, hopeful prospectors rushed to the area. It is estimated that more than 2,000 people came to the region, representing a huge European population surge for the Range. 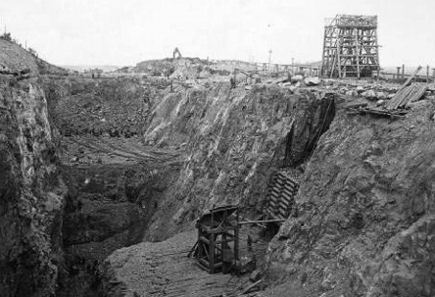 Fifteen companies were formed to attempt to extract gold from the Vermillion rock. However, the gold rush was short lived and largely a bust. The little bit of gold found was more expensive to extract than it was worth. 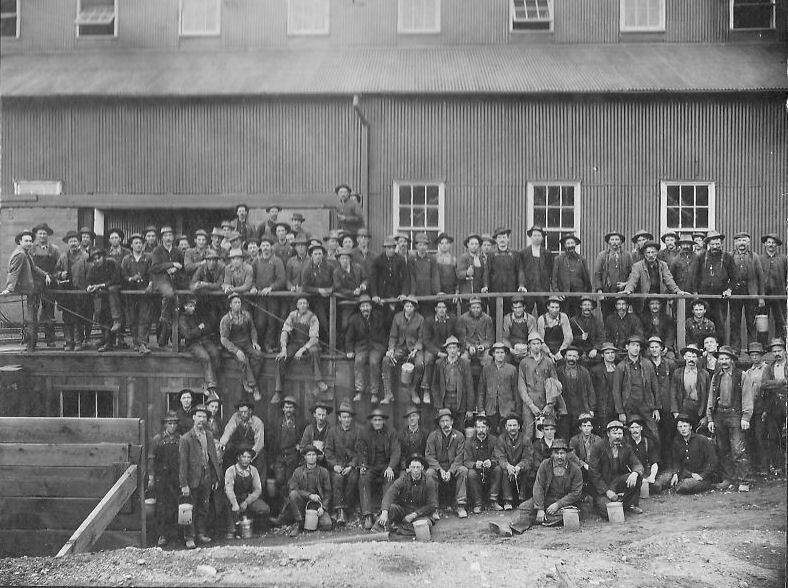 It appears that the only individuals to realize a profit from this gold rush were teamsters freighting equipment, store owners selling supplies to the prospectors and miners, operators of boardinghouses and saloons, and land speculators. By 1867, prospectors had abandoned the area for more fertile grounds in the West. 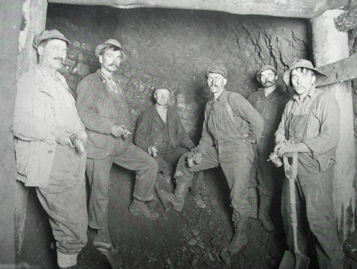 Some prospectors spread word of all the iron that they found, leading to the beginning of the development of the Minnesota iron ranges less than 20 years later. 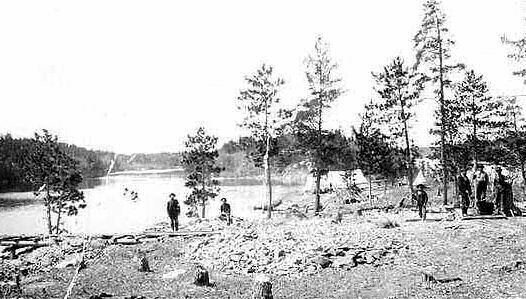 Then, in the summer of 1893, gold was discovered on Little American Island in Rainy Lake (along the U.S.- Canadian border). 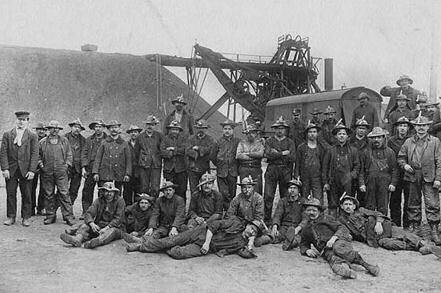 Miners hoping to strike it rich flocked to the area. Once again, the hoped for riches proved to be beyond reach. 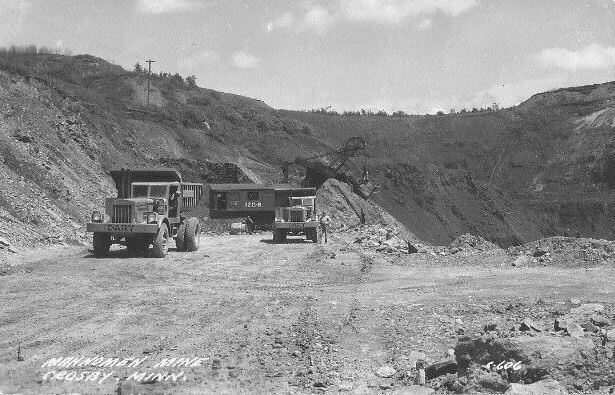 Several mines, including the Little American Mine, Big American Mine, Lyle Mine, the Bushyhead Mine and Soldier Mine all opened on islands on Rainy Lake. 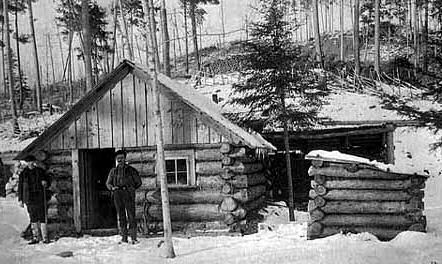 Although most prospectors moved on to seek their fortunes further afield, the gold rush did lead to the settlement of many communities in northern Minnesota, including International Falls. The iron deposits of Minnesota are found in three ranges, the Vermillion, Cuyuna and Mesabi. 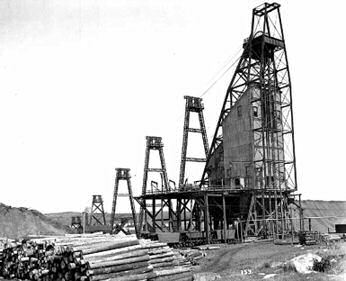 The first range, the Vermilion Range, runs between Tower and Ely, Minnesota, and contains significant deposits of iron ore. The Vermilion, along with the Mesabi and Cuyuna Ranges, constitute the Iron Ranges of northern Minnesota. 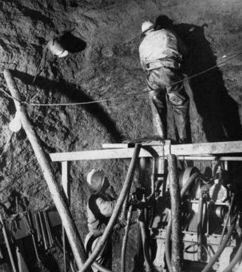 While the Mesabi Range had iron ore close enough to the surface to enable pit mining, mines on the Vermilion and Cuyuna ranges tended to be deep underground. 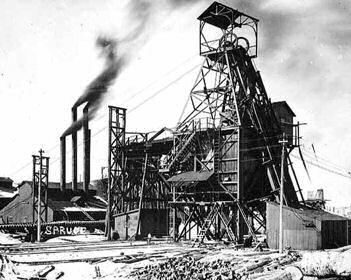 The Soudan mine was nearly half a mile underground. The ore had to be blasted from Precambrian sedimentary bedrock. 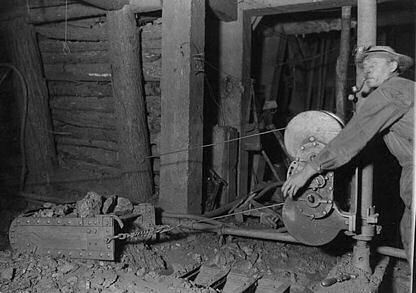 The reason that mining companies went through the trouble of blasting tunnels so far underground was the quality of the hematite ore; the Soudan Mine had ore so pure that two pieces could be welded together. The bedrock, known as taconite, also contained iron, but in a much lower concentration. 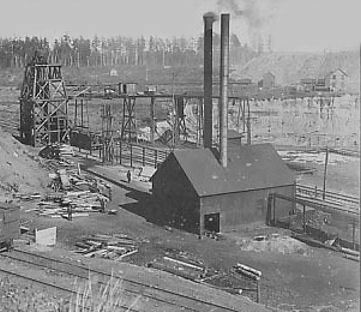 Eventually, the high-quality ore was mined out, and new processes had to be developed to extract the iron from the taconite. 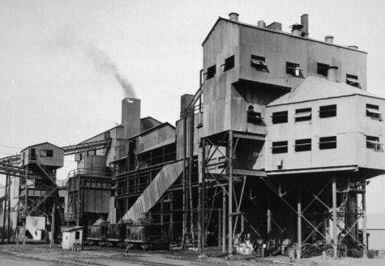 This was successful, and Minnesota's iron industry centered on the Mesabi Range, where the taconite was much easier to access. 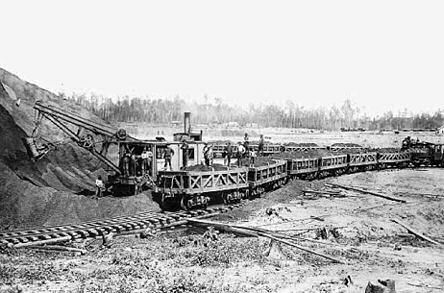 In 1875, Philadelphia financier Charlemagne Tower, who owned extensive interests in the Northern Pacific Railroad, began to investigate the possibility of iron mining inland from the North Shore. Although the scare of 1873 had depressed the price of iron to $5.50 per ton, by the 1880s it was back to about $9.25 per ton. 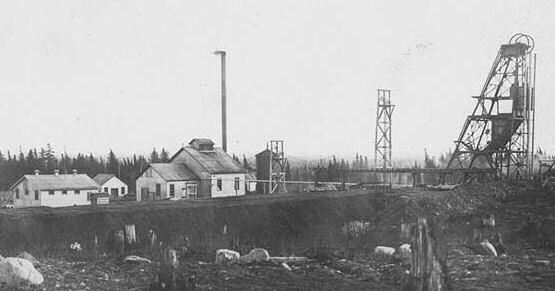 Tower started acquiring land in the Vermilion Range, where ore had an iron content of 69%. 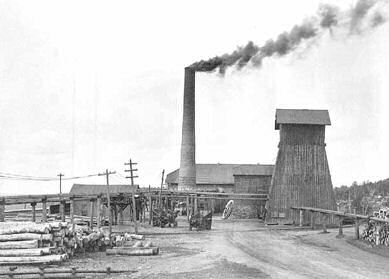 Tower also acquired the rights to the Duluth Iron & Railway Co., which entitled him to ten square miles (26 sq.km) of land for every mile (1.6 km) of rail built between Duluth and Agate Bay (Two Harbors), 25 miles (40 km) northeast along the shore. 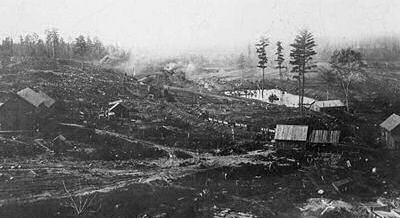 Speculators bought up land at Agate Bay, but the rail line was not completed until 1887, so all travel to Agate Bay was originally by steamboat. 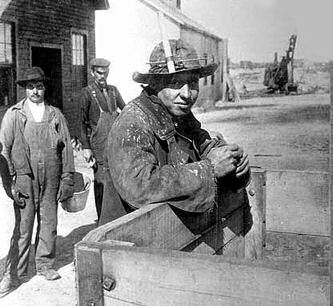 Between 1884 and 1885, two large wooden loading docks were built in the harbor for shipping iron. 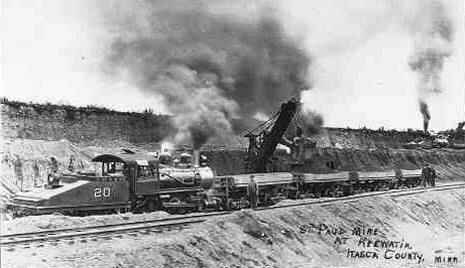 In 1887, when the railroad was completed, the Minnesota Iron Company owned 95.7 miles (154.0 km) of track, 26,800 acres (108 km²) of property, 13 locomotives, 340 cars, the loading docks at Two Harbors, and five pit mines. 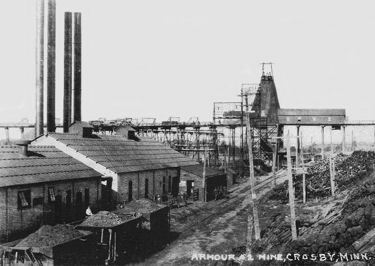 This growth attracted the interest of Henry H. Porter, a Chicago railroad owner, who bought 25,000 acres (100 km²) of land further up the North Shore than Tower’s holdings around Two Harbors and Tower, a mining settlement named after its founder. Porter coerced Tower into selling the Minnesota Iron Company for 8.5 million dollars. 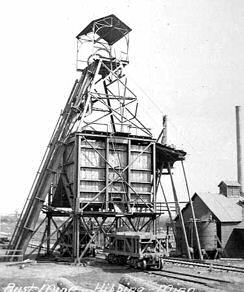 He built the Chandler Mine, Pioneer Mine, Zenith Mine, Savoy Mine, and Sibley Mine between 1889 and 1899. 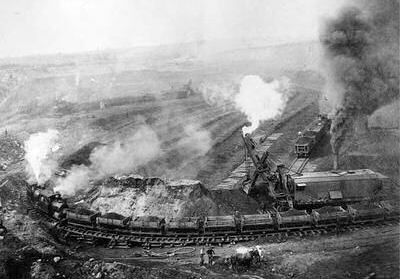 In 1896, the iron traveling through Two Harbors exceeded 2,000,000 tons. Two Harbors steadily built more docks and replaced the wooden docks with concrete over the course of the next several decades. 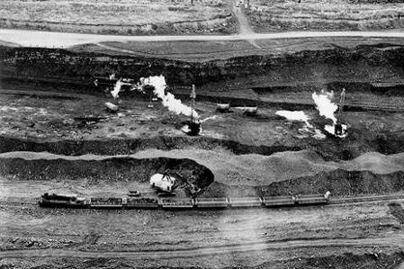 Iron production continued steadily for many more decades, but in the 1950s, traditional iron mines had exhausted most of their resources. 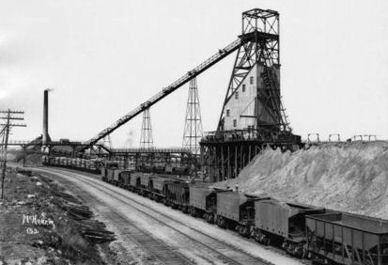 However, it had been known for many years that northern Minnesota had an ore called taconite, which could be refined into iron through a process called beneficiation. 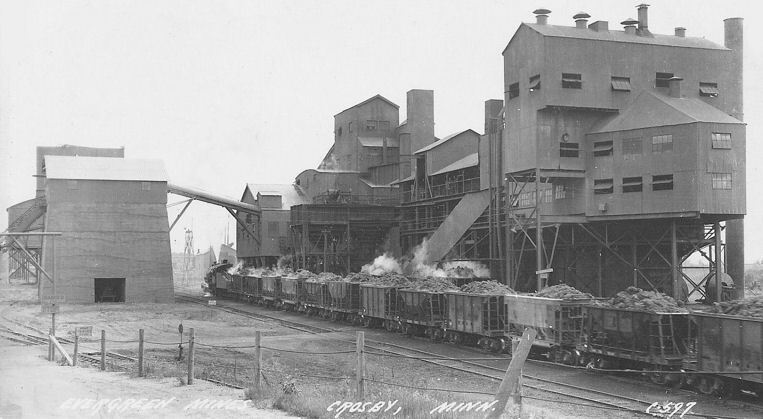 A taconite processing plant was built further north along the North Shore at Silver Bay and it quickly became the major taconite shipping port. Minnesota taconite produces over half of the iron mined in Minnesota at the present date. 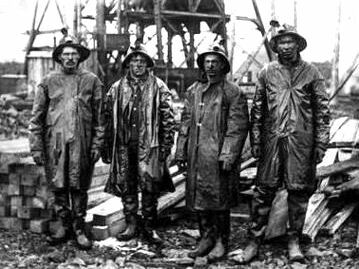 Iron ore was first discovered in Ely in 1883, near the west end of the flooded, abandonded mine that is now called Miner's Lake. 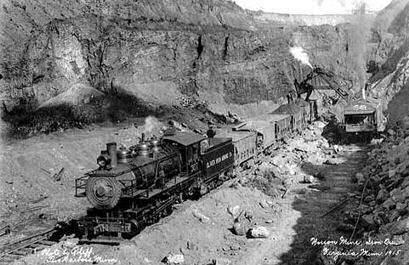 After the addition of the railroad in 1888, the mines began shipping the iron ore to the docks of Lake Superior in Two Harbors, MN. 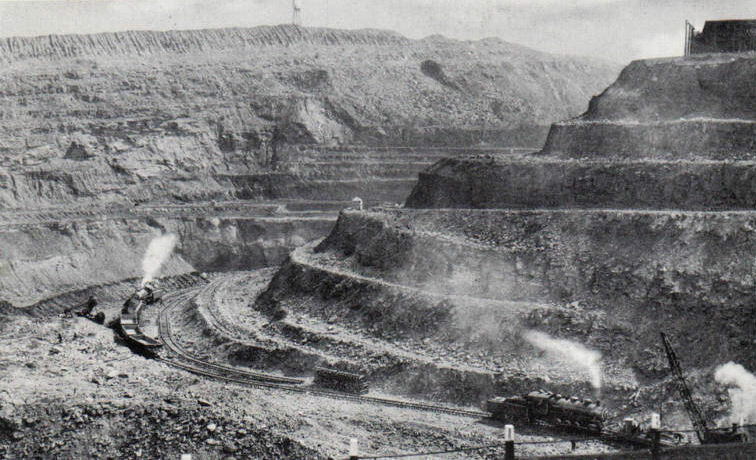 Originally, the mining was an open pit operation since there was an abundance of iron ore on the surface. 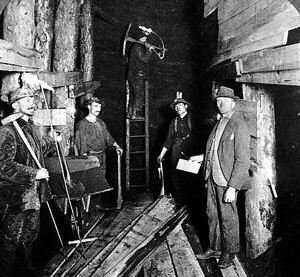 Later, deep shafts were made to start mining underground. 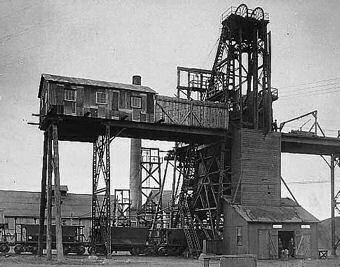 In 1967, the Pioneer mine closed. 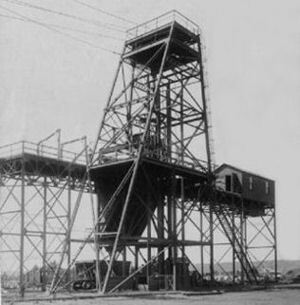 It was the last of 11 iron mines located in the Ely area. The second range, the Mesabi Iron Range, is a vast deposit of iron ore and the largest of three major iron ranges in the region collectively known as the Iron Range of Minnesota. 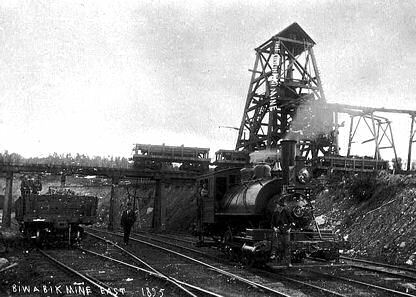 Discovered in 1866, it is the chief deposit of iron ore in the United States. The deposit is located in northeast Minnesota, largely in Itasca County and St. Louis County. It was extensively worked in the earlier part of the 20th century. 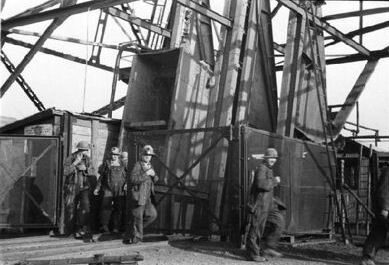 Extraction operations declined throughout the mid-1970s but rebounded in 2005. China's growing demand for iron, along with the falling value of the US dollar versus other world currencies, have made taconite production profitable again, and some mines that had closed have been reopened, while current mines have been expanded. It is theorized that most of the world's iron ore, including that contained in the Minnesota Iron Ranges, was formed during the middle Precambrian period, about two billion years ago. During this period, erosion leveled mountains that were formed during the previous two billion years. This erosion released iron and silica into the waters of a new sea. Marine algae living in this new sea raised the level of atmospheric oxygen, causing the eroded iron to precipitate into the iron formations now found in the Mesabi Iron Range. 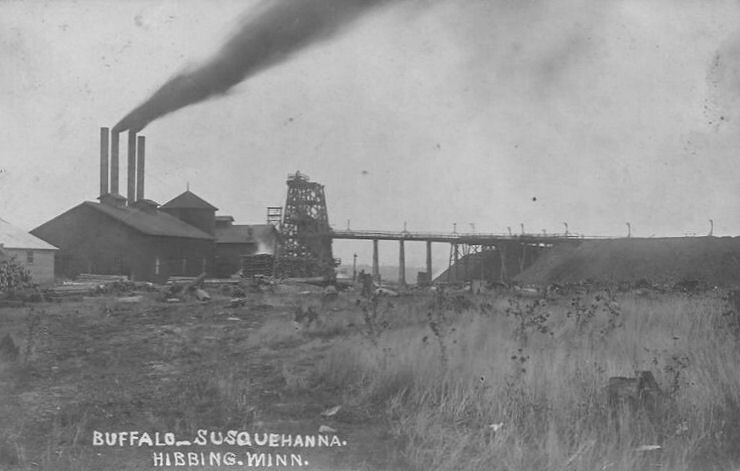 The Hull-Rust-Mahoning Mine in Hibbing, Minnesota, is the largest open pit iron mine in the world. 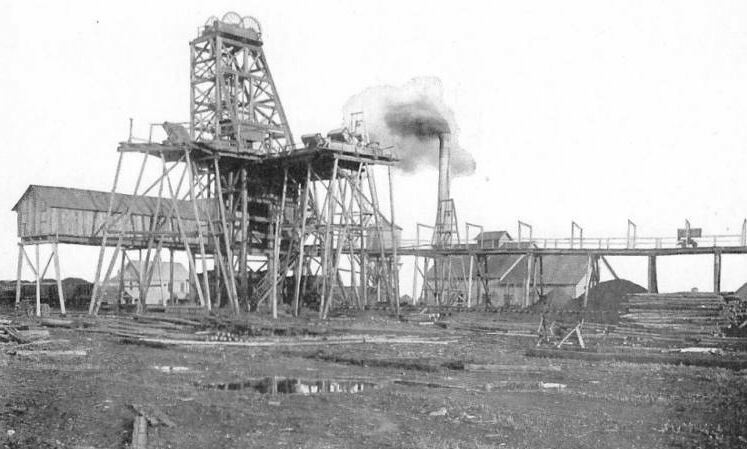 The mine, located in the Mesabi Range, supplied as much as one-fourth of all the iron ore mined in the United States during its peak production years of World War I and World War II. The pit is more than three miles long, two miles wide and 535 feet deep. 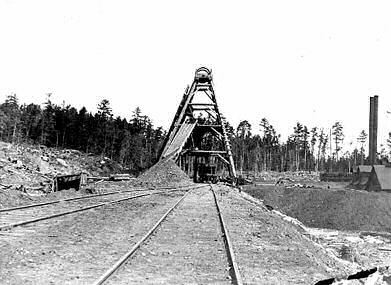 This area of the Mesabi Range was explored in 1893–1894, shortly after the Mountain Iron Mine was established in 1892. 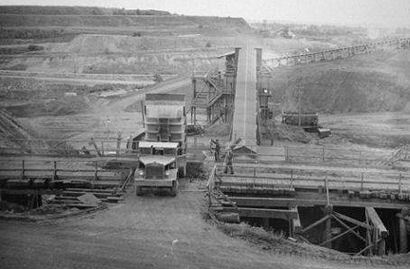 The early development was as an underground mine, but open cast mining soon proved to be a better choice because of the soft, shallow ore deposits. 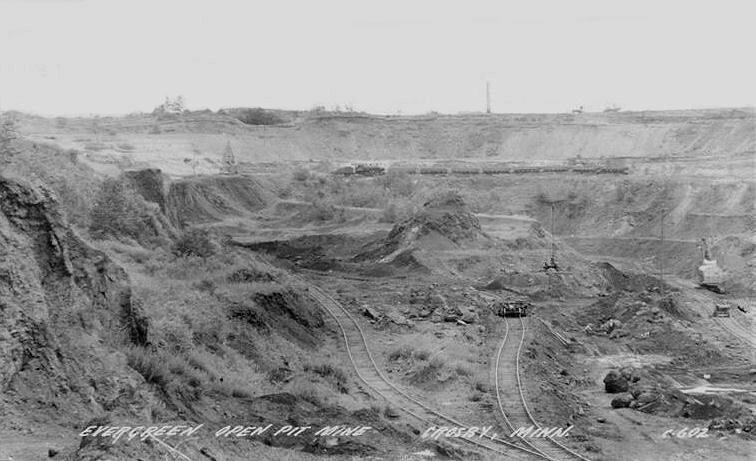 Many open pits in the area soon merged into one large mine, and the consolidation of mines led to the formation of U.S. Steel in 1901. 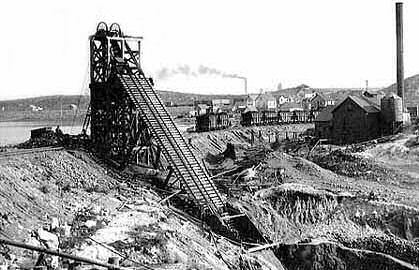 The growth of the mine even resulted in the town of Hibbing being relocated to accommodate expansion. The move started in 1919 and took two years to complete at a cost of $16,000,000. 185 houses and 20 businesses were moved, and some of the larger buildings had to be cut in half for the move. Only a few uninhabited remnants of the original townsite are left near an observational lookout at the edge of the mine. 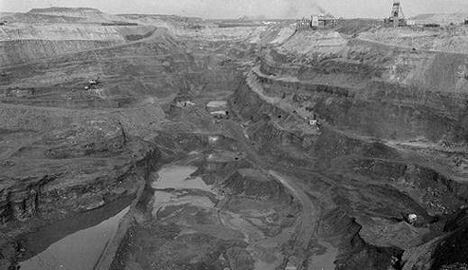 Over 519 million tons of waste material and 690 million tons of iron ore have been removed from the mine area since ore shipments began in 1895. 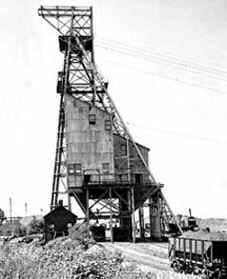 The mine was listed as a National Historic Landmark, and added to the National Register of Historic Places on November 13, 1966. 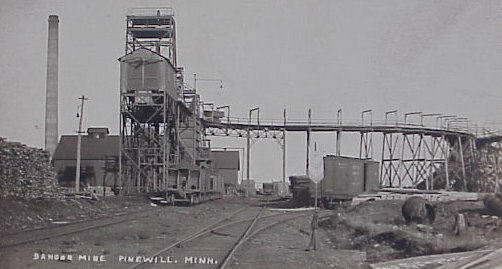 The mine is still operated today by the Hibbing Taconite Company, and taconite pellets are extracted at the rate of 8.2 million tons annually. The third range, the Cuyuna Range, is an iron range to the southwest of the Mesabi Range, largely within Crow Wing County, Minnesota. It lies along a line between Brainerd and Aitkin, although those communities are not mining towns. The range was discovered by Cuyler Adams, a surveyor who discovered traces of magnetic ore in 1895 while doing land surveys. The word "Cuyuna" was coined by Adams' wife, who combined the first three letters of Cuyler's name with "Una", the name of their dog. 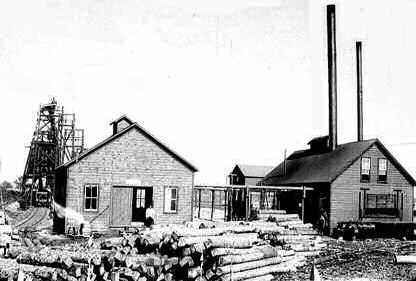 In 1903 Adams formed the Orelands Mining Co.
Mining started on the range in 1911. 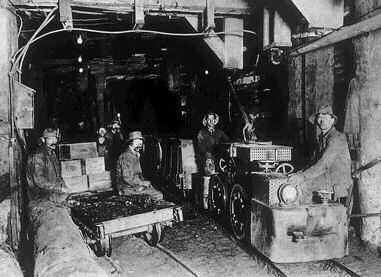 The ore was located deep underground, as in the Vermilion Range, so most of the mines were developed underground. 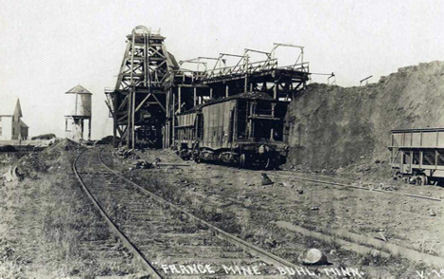 The ore was also rich in manganese, which was useful during World War I when other sources were not available. 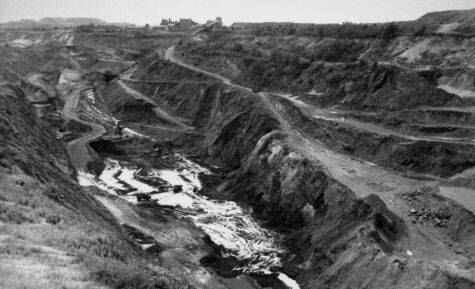 At the height of the mining, the Cuyuna Range was the location of the worst mining disaster in Minnesota, the Milford Mine disaster. 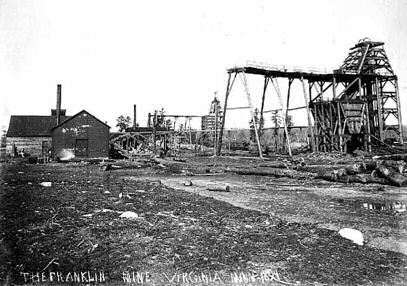 On February 5, 1924, a new tunnel was blasted too close to nearby Foley Lake, and water rushed in, killing 41 miners. 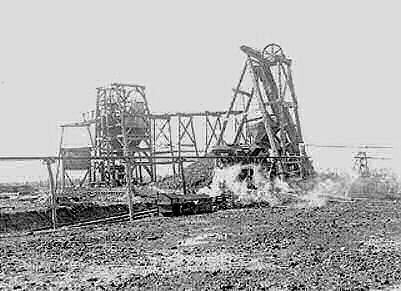 Mining on the range continued until 1984. 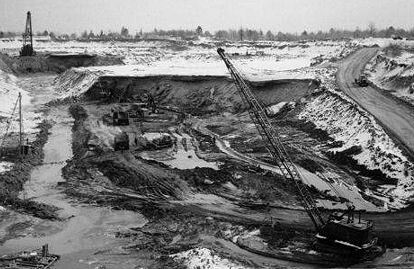 Also like the Vermilion Range, mining slowed as it became more economical to extract taconite deposits from the Mesabi Range, which were closer to the surface. Additionally, the surface mines were safer than the deep underground mines. The smallest of Minnesota's three northern iron ranges, the Cuyuna was also the last to be opened. 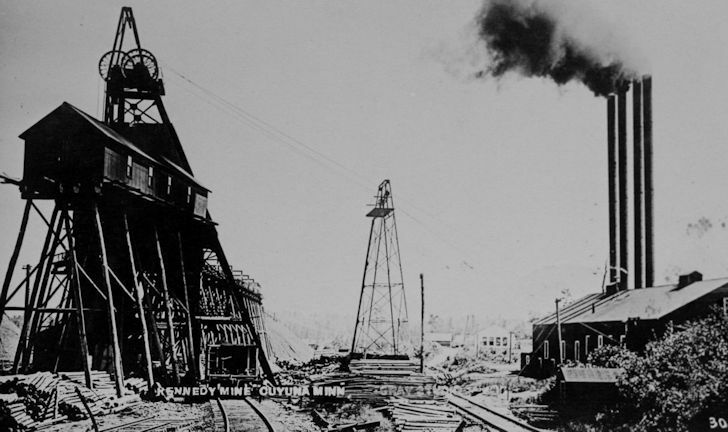 By the time ore was shipped from the first Cuyuna mine to Duluth in 1911, Minnesota had already become the leading iron ore producer in the country. In many ways, this range differs from Minnesota's other two great ranges. Here the ore quality varies, some is soft like that scooped from the Mesabi's open-pit mines, some is hard like the ore drilled in the Vermillion's underground mines. 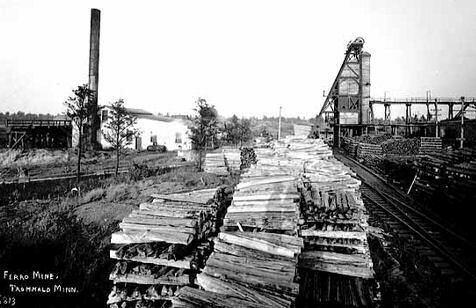 The Cuyuna Range is also rich in manganese, an ore at first avoided by miners and later valued for steel production. 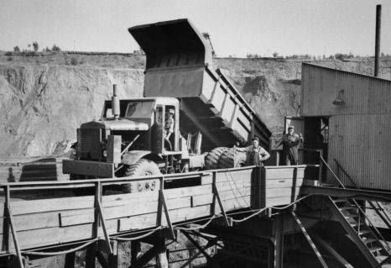 When World War I cut off U.S. imports of manganese, demand for Cuyuna ore soared. 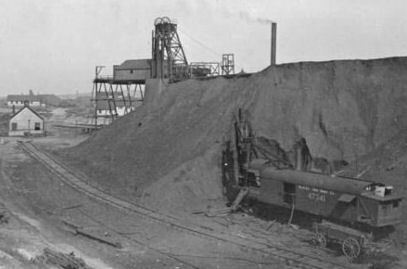 In 1918, one of the Cuyuna's peak years, 27 mines produced nearly 2.5 million tons of ore.
Another difference in the Cuyuna's story can be found in its settlement. 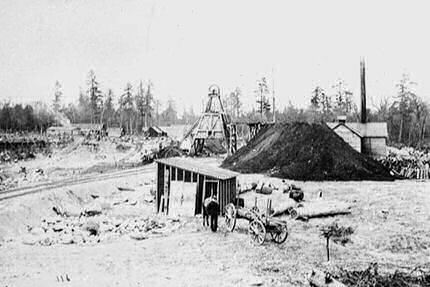 Many towns, like Brainerd and Aitkins, were well established before the ore was discovered nearby. 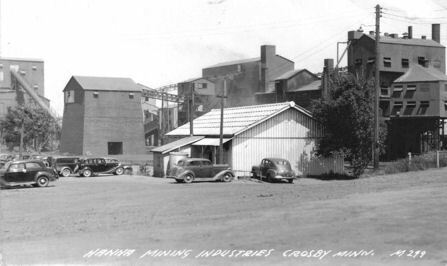 Other towns like Crosby and Ironton sprang up when mining began. This meant that vast tracts of land were difficult for developers to obtain. 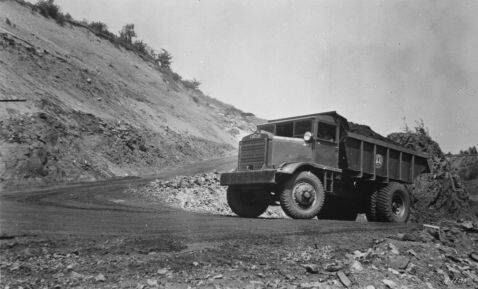 So the Cuyuna Range remained in the hands of smaller, independent mining companies, not the large, consolidated mining operations that dominated the other ranges. 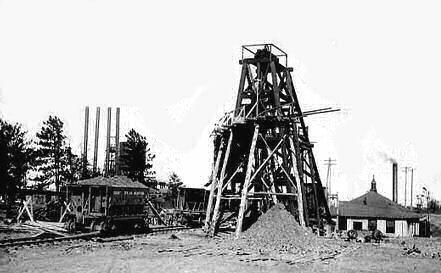 Because much of the Cuyuna's ore lay under lakes and bogs, early attempts to mine it had met with failures as shafts filled with water. 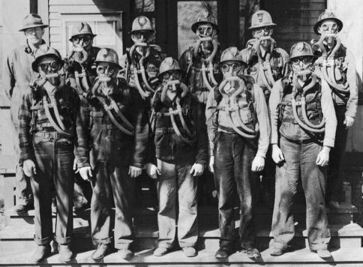 Indeed, the 1924 Milford mine disaster was the worst in Minnesota mining history. 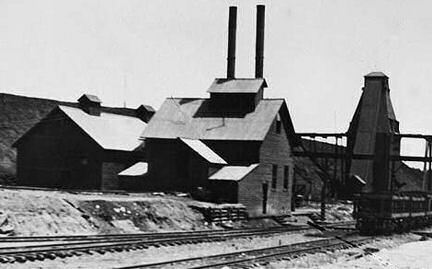 But far-sighted businessmen like Adams and George Crosby persisted, turning the Cuyuna Range into an important supplier of iron ore for the steel industry that fueled the nation's growth. 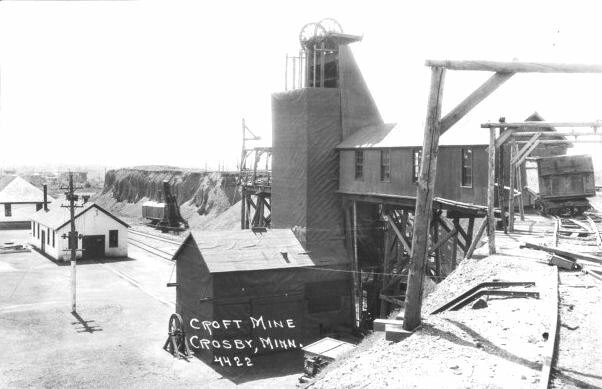 Cuyuna Mine, Oak Lawn Township, Crow Wing Co.